Ten ML E-liquid features 20 mg of nicotine shot, when added to a 50ml Short Fill of 0mg it will make a 60ml e-liquid with a 3.3mg base. 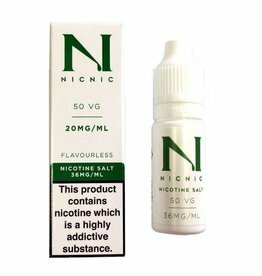 Salt Nicotine e Liquid Refills use the natural salt found within the tobacco leaf as their basis for nicotine. 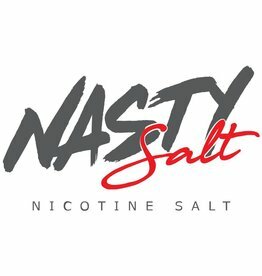 Nicotine Salt e Liquid aim to provide a more potent nicotine hit than most e Liquid can currently provide. Nicotine Salt, also known as Nic Salt, is a type of processed nicotine used in vape juice. Many vapers find nicotine salts more satisfying than regular "freebase" nicotine. ... It's this ability to inhale more nicotine per puff that makes salts more satisfying. Menthol - Menthol is fresh and smooth, providing a subtle cool tingle. Highberg - Heisenburger delivers an irresistible burst of mixed fruit and menthol flavour, now with a nicotine salt formula that's as smooth as it is satisfying. Strawberry - Strawberry Nicotine Salt are sweet chewy candies filled with delicious strawberry center that brings euphoric feelings with every vape. Bubblegum - Bubblegum leads the pack in satisfying sweet flavor. Pop some of this longtime-favorite taste into your nic salt-ready device and vape away. You’ll be tickled pink. Vanilla - Bold French Vanilla pairs perfectly with a smooth cream frosting that is reminiscent of biting into a sweet vanilla cupcake. Blueberry - Like fresh blueberries picked off the bush! A magical blend of sweet and tart create this realistic blueberry flavor. Mint - One for the mint lovers, a refreshing and sweet mint nic salt flavour! Berry - Sweet with a subtle hint of tartness, each inhale of Berry will keep your taste buds asking for more. Raspberry - Tongue Tingling Raspberry Flavour. Ice Watermelon Lychee - A mouth watering lychee and watermelon blend with the blast of ice. Double Menthol - Just like our standard menthol but with twice the kick!! Our double menthol e-liquid hits the spot perfectly and leaves a lovely minty taste in the mouth. USA Mix - A bold full flavored American tobacco blend. Double Mint - Double Mint e-liquid tastes like the gum. A refreshing minty, peppermint, flavour. Blackcurrant - Blackcurrant E-Liquid provides a stronger, smoother nicotine hit with great blackcurrant flavour. Cherry - Delicious cherry candy flavor jam-packed into a 10ml bottle. Ice Mint - This salt nic makes you feel like you've stuffed your mouth with a handful of mint leaves that are fresh from the garden. The gentle sweetness of the mint flavor adds delicious complexity. Passion Fruit - This mouthwatering Nic Salt is an intense shot of juicy fruit flavour, and will flood your mouth with the tart, tangy taste of natural passion fruit. Cola - Everyone's favourite soft drink flavour in a vape. Strawberry Kiwi - A perfectly balanced blend of fresh strawberries and sweet kiwi for the perfect nicotine salt flavor. UK Gold -Traditional tobacco flavours are one of the most popular and UK Gold Tobacco is no exception. 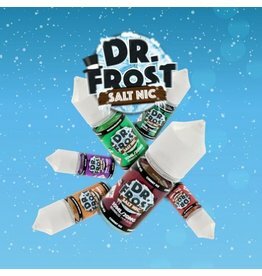 Dr Frost Salt Nic Range is now Available in 5 Flavours; Cherry ice, Orange Mango ice, Grape Ice, Strawberry Ice & Honeydew Blackcurrant Ice. The Nic Salt by NicNic adds salt-based nicotine to any short fill e-liquid, and it comes in a 50/50 VG/PG base that's ideal for smaller vaping devices. 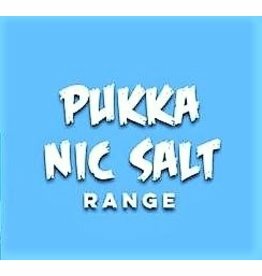 MoMo Salt Nicotine Salt is a UK e-liquid brand famous for unique flavours that packs a punch, now available in Nic Salts that provides a smoother throat hit on higher mg nicotine (20mg), making them perfect for Starter Kits and Pod Style devices. 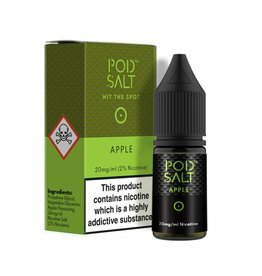 Pod Salt replicates the nicotine salts found naturally in tobacco leaves, to produce a perfectly smooth experience with minimal throat irritation. Designer Elements 10mg & 20mg Nicotine Salts: The next step in the evolution of premium nicotine. Element’s nicotine salt e-liquid achieves maximum nicotine delivery with minimal hit, yielding optimum fulfillment with a smooth, flavorful experience. 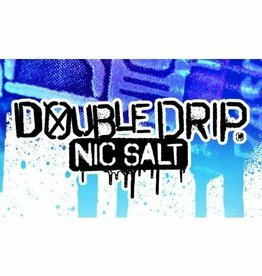 Double Drip Nic Salt with 10mg & 20mg Nicotine, Pack of 10 available in 7 flavours - Cherry Bakewell, Crystal Mist, Lemon Sherbet, Mango Raspberry Ice Cream, Menthol Mist, Raspberry Sherbet, Super Berry Sherbet. 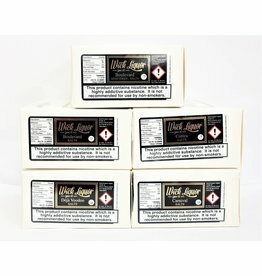 Wick Liquor Nicotine Salt with 10mg & 20mg Nicotine sold as a pack of 10 available in 5 flavours - Boulevard, Boulevard Shattered, Carnival, Contra & Deja Voodoo.